Ah, tablescapes. Growing up my mom decorated for every holiday, even the table. 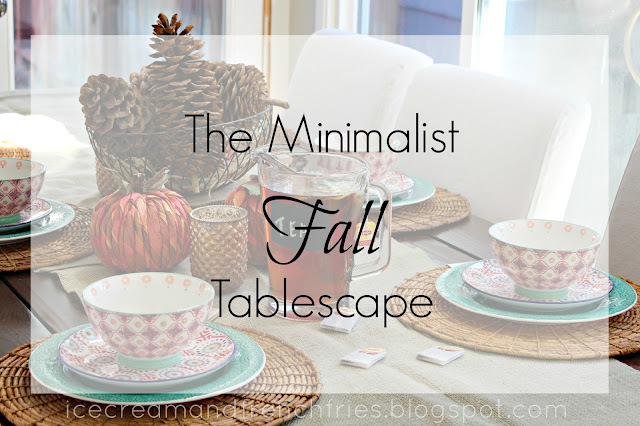 I love the look of a finished table, but the inner minimalist battles with the extra stuff. Enter my minimalist tablescape. It's just the right amount of decor and items I'll actually use! It's simple, less is more. 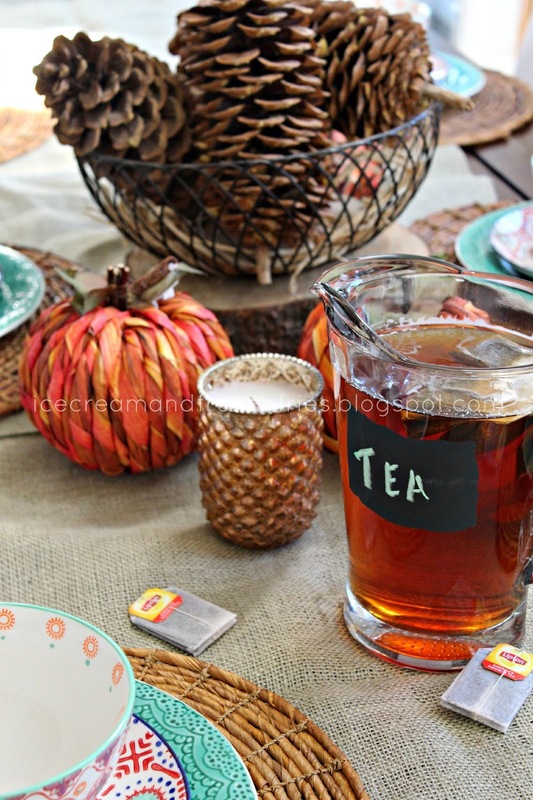 To create my fall inspired tablescape I focused on layering various textures while incorporating old and new items. 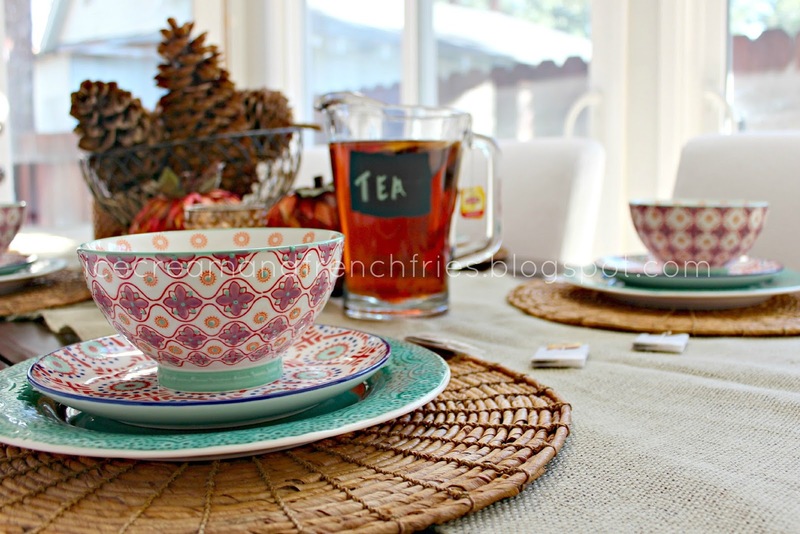 Think a burlap runner, woven placemats & pumpkins, and sugar pine pinecones. Your table isn't complete without a candle or two. I think this candle plays off the actual pinecones! It smells delicious too. I prefer to go with non-holiday dishes. After halloween I can remove the pumpkins and still have a styled table. My dishes are meant for everyday use, making the table ready for breakfast, lunch or dinner! 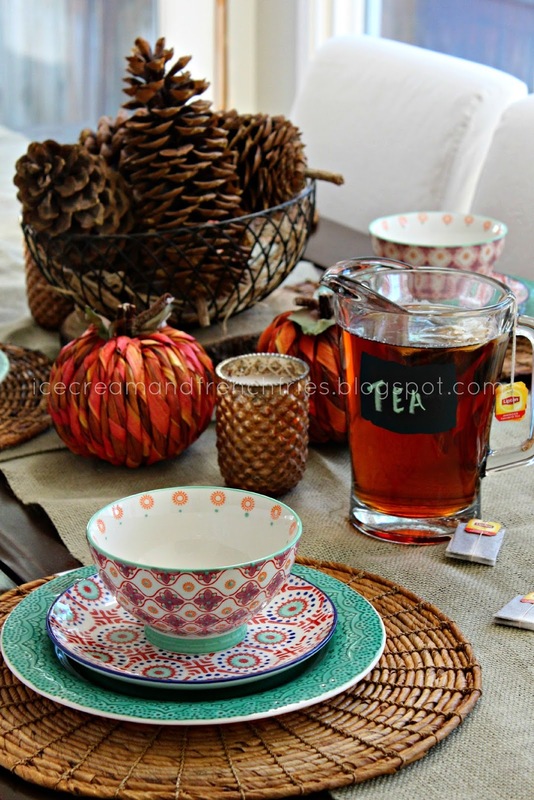 Do you create seasonal tablescapes? This year I added a fun pitcher into the mixed. 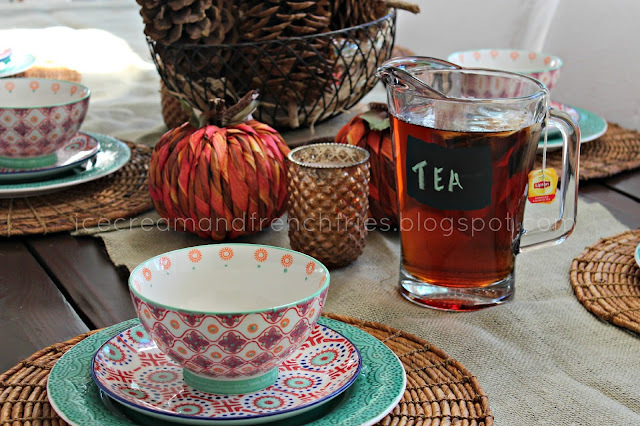 The chalk embellishment is very convenient and my husband [or guests] no longer need to ask, "whats in the pitcher." We're big tea drinkers in our house and always have a pitcher of Lipton Iced Tea in the fridge. There's just something about enjoying a sandwich and glass of iced tea [on the porch]. Growing up we always made sun tea with Lipton Iced Tea. Not much has changed. 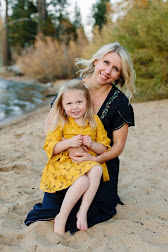 Iced tea not only makes every meal taste better, but is a healthy choice for the whole family. 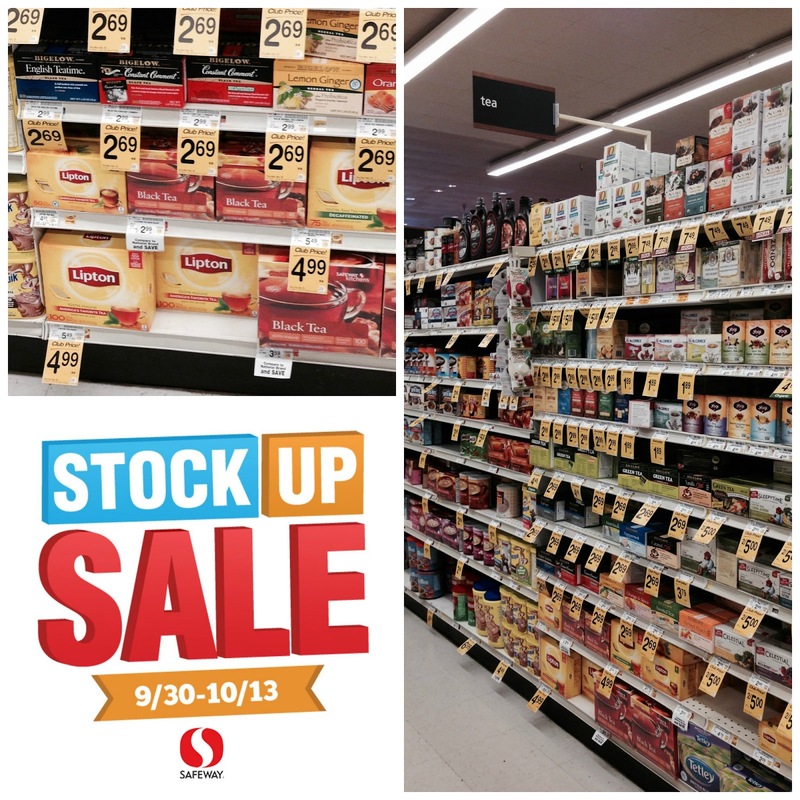 Last week, while at Safeway, we made sure to stock up with a 100ct box of Lipton Iced Tea. We don't want to be caught with a empty box. 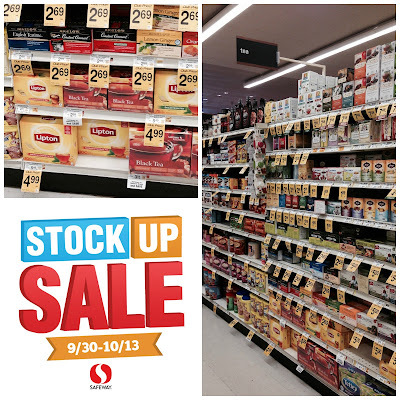 Shop during the Albertsons/Safeway Stock Up Sale (9/30-10/13). Are you a tea drinker? What's you go-to tea? Hot or cold? I love it and am actually thinking about buying another! Perfect for parties. Gorgeous tablescape. LOVE the bowls and the pinecones are so cute. Thanks! The bowls are from Pier1!